While there are many website hosting companies out there, none of them match the visual presentation of Site5. It is quite evident the moment you go to their landing site that Site5 is a well-polished service. 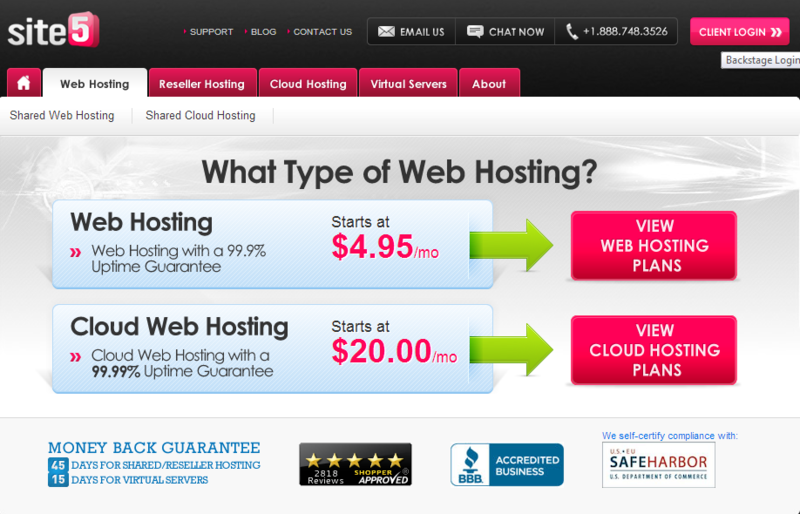 That being said, Site5 also provides some of the best online hosting services available in today’s market. Site5 is an industry leading website hosting company which proudly boasts its 99.9% uptime. There are a number of packages available at Site5 which range from shared hosting to Unmanaged VPS. There is almost everything available which you can expect form a top notch hosting service. The rates, which we will discuss in detail later on, are somewhat on the expensive side. The clients of Site5 are mostly happy about the services the company provides and speak highly of them. Site5 provides some of the fastest load times and has amazing performance. Overall Site5 provides customers with stable hosting with long up times. This is a complete hosting solution for your commercial or industrial websites. Choose your own location– Site5 allows you to select the server location which closer to you making the load times and management a lot easier. Or ideally you can select the server location from where most of the visitors come from, making the experience that much faster for them. This is all up to you. Website control panel– Site5 gives you a very easy to use and understand website control panel. This gives you total control over your website and allows you to manage aspects of your site with ease. Select what is best for you– Site5 offers a number of hosting solutions which makes it ideal for those who are looking for something particular. The rates also vary according to time hosted and services rendered. In short there is something for everyone. Amazing customer support– Customer support is one of the most neglected features of hosting companies. Thankfully Site5 is not among those “ticket generating” companies and provide you with 24/7 customer service. This is not just a marketing slogan either; Site5 really has technical support ready anytime every day. Site5 is able to answer your query almost immediately via the live chat support so you will never be left stranded at any point. This is by far the most impressive feature of Site5 and is definitely an advantage over others. Free migration– Transferring your existing site to Site5 is not your headache anymore. 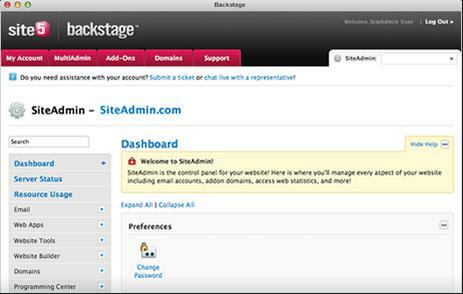 Site5 allows you to sit back and watch as their own team migrates your website over to their hosting servers. Uptime guarantee– Site5 gives users 99.9% uptime guarantee. They also pride themselves to be no-nonsense, high quality and dependable service and promise unique feature you won’t be able to find elsewhere. Money Back guarantee– If somehow you don’t feel like using Site5, they also allow you to get your money refunded. This is a great feature for those who only want to test Site5. But beware of the hidden twist which will be explained in the disadvantage section of this review. 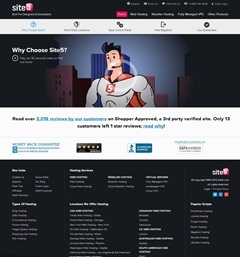 Site5 is a great and reliable hosting service and has amazing customer support. But the fast load times come with a price, a price which may be too expensive for some customers. We have tried several hosting services and many provide the same features as Site5, but Site5 is more on the expensive side of the gauge. Although the prices are easily justifiable due to the speed and reliability of the hosting, many will also need to look at their budget before committing. Another disadvantage we found was the refund policy. For example if you purchase a service for a year and want to leave it after let’s say four months, you won’t be able to get the 8 months’ worth of fees back. This is mentioned in the terms of service but it should have been highlighted. Other than these little annoyances, Site5 provides you with amazing service. Like it is mentioned in the disadvantage section, Site5 does have a little higher than usual pricings but their packages are excellent. If you don’t want or need something there just might be a package for you. The simple one site hosting will cost you as low as $4.95 per month with unlimited disk space and bandwidth. Of course, there are terms and conditions applicable there which you will need to check for yourself on the official site. Be prepared for a long term commitment though, as the refund policy is a bit skewed. There are no prorated refunds on Site5 so take the step accordingly, that being said the service is top notch. While many other hosting companies try to make do with non-existent customer service and support, Site5 employees a barrage of customer support agents. Their customer support and service is one of the best in the market. You can get in contact with them 24/7 via their live chat option or get in touch with landline phone on business days. Site5 has been in the industry since 1999 this makes them one of the most experienced teams in the market. This long term experience reflects on how well they treat their customers. Site5 is a very reliable service and the customer care is top tier. You can view your server location which is great for SEO purposes. Site5 is also one of the few hosting services which are online pre 2000, which makes them the most experienced ones around. You are sure that these guys just won’t run away with your funds. The also tell you limits upfront bypassing the “unlimited” bandwidth frauds. In the end it comes to whether you are willing to pay top price for a long term relationship or not. Site5 is fast and is reliable but these features come with a hefty price tag. 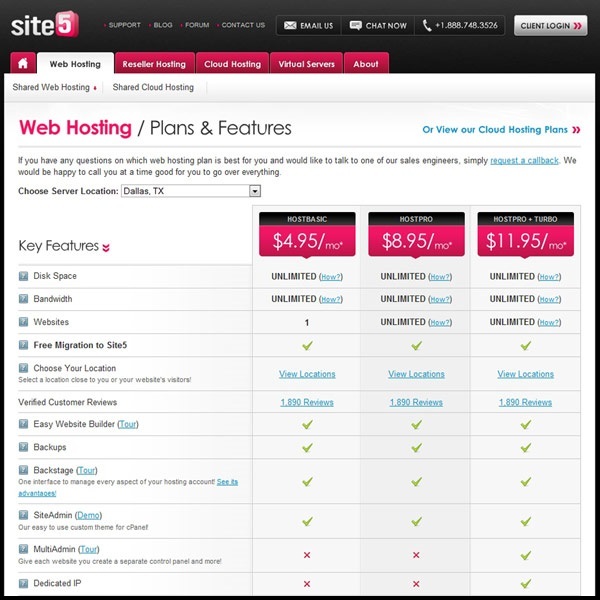 If you are able to pay, then Site5 is the best of the best for your web hosting needs.